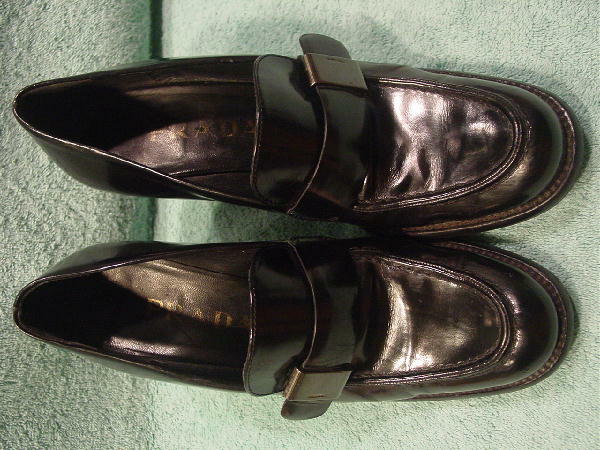 These black leather vintage loafers were made in Italy by Prada. 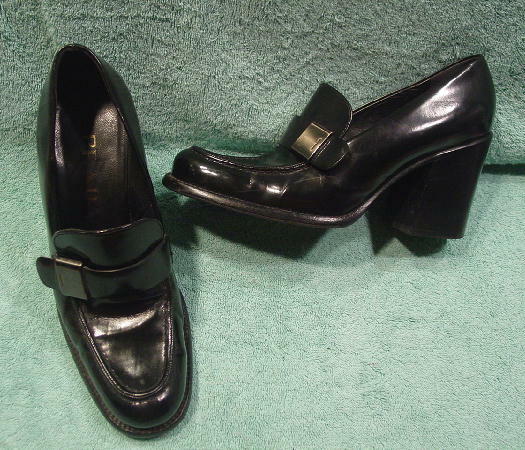 They have high chunky heels and black leather linings and insoles. 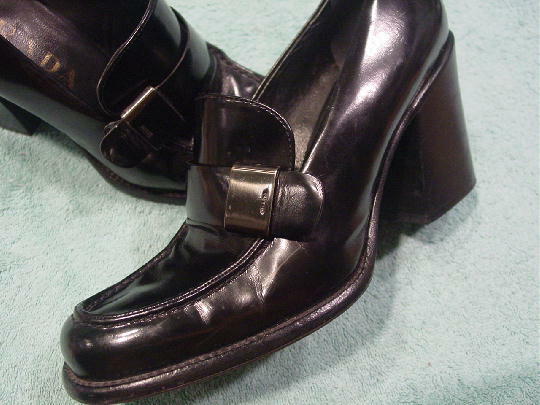 There is a strap over the tongue and it has an anodized ornament on the strap which has Prada etched on the ornament. The soles have been replaced with rubberized nonskid soles. 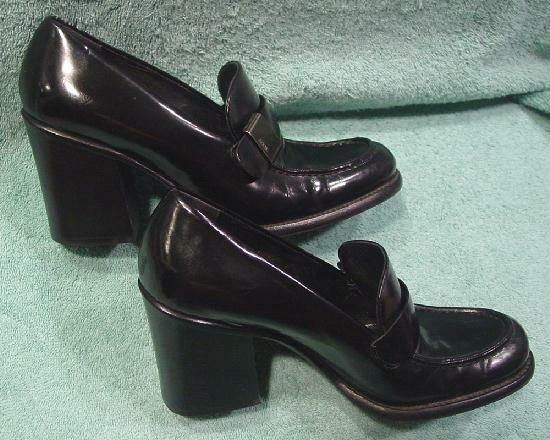 The shoes have wrinkles and scuff marks. 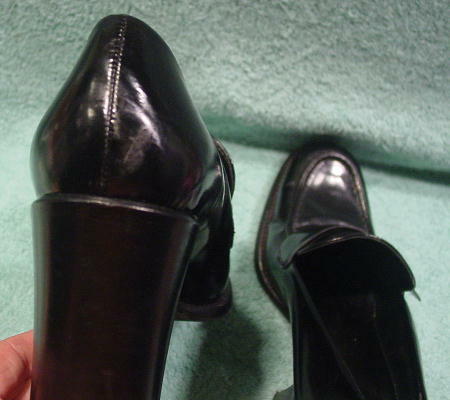 The back of the left shoe has a scrape mark where the surface leather finish is missing. 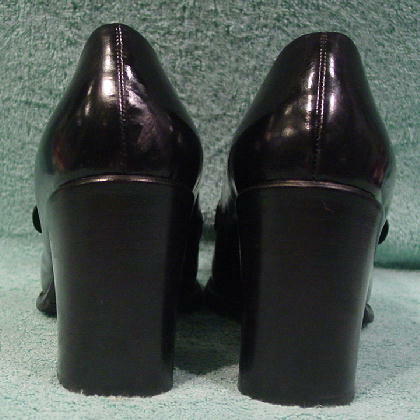 The heels also have scuff marks. They're now too small for her.